We can’t protect our night sky without you! And we have some great simple ideas for you to involved right now. You can help us fight light pollution and protect the night sky. Our members and supporters are on the ground making a difference every day by spreading the word about light pollution to their neighbors, communities and public officials. You can make a difference, too! Become a leader in night sky protection. IDA’s regional and local chapters are an important part of our success. Staffed by volunteers from around the globe, our chapters act as local bases for IDA, helping more of us to have better nights. 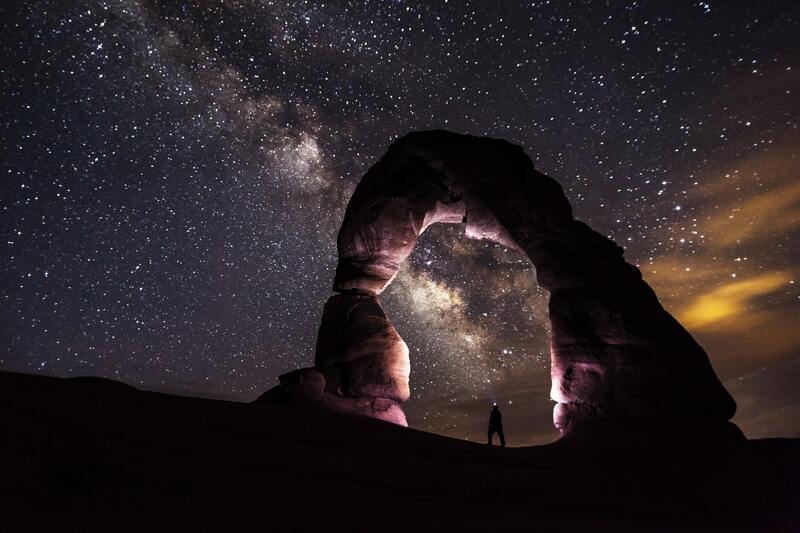 IDA chapters organize events such as dark sky festivals, conferences and star parties, while working to educate their communities and government officials about the importance of protecting night skies, eco-friendly outdoor lighting, and much more. Currently, we have more than 50 chapters around the world. This includes more than 20 international chapters representing 5 continents. Can’t find an IDA chapter near you? Consider starting one by assembling a team of like-minded individuals in your area. Chapters are independent advocates for IDA and our mission that specialize in local action. IDA doesn’t fund chapters, but money for special projects is occasionally made available. Chapters are considered part of our organization, which means they enjoy the many benefits of IDA’s 501(c)(3) nonprofit status. Because chapters are part of IDA, they must adhere to IDA’s mission and bylaws. In addition, they are required to submit annual reports to IDA and are bound to uphold the rules of Section 501(c)(3) of the United States Internal Revenue Code of 1987. Become a IDA Delegate, IDA Affiliate, or start a Local IDA Chapter! The IDA Delegate program is an opportunity for individuals who either do not want to create a Chapter, or else lack the minimum three members required to establish a Chapter, to do important dark sky advocacy volunteer work on behalf of the IDA. IDA Delegates will be publicly identified as an official IDA Delegate on IDA’s website. As necessary IDA Delegates, will receive support and assistance from IDA to formally represent IDA’s mission and vision in their community and host IDA events. The IDA Affiliate Program formalizes a relationship with an existing organization that typically would already have its own 501(c)(3) status and desires to “affiliate” with the IDA in order to further the IDA’s mission and goals. IDA Affiliates will be publicly identified as an official IDA Affiliate on IDA’s website. As necessary IDA Affiliates, will receive support and assistance from IDA to formally represent IDA’s mission and vision in their community and host IDA events.